Thank-you for taking time to visit our website and consider our services. 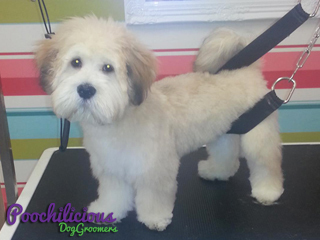 Poochilicious Dog Grooming is run by Kim Stark. All breeds of dog are welcome & are always styled to breed standards or arrangements can be made to suit any owner's specific requirements.